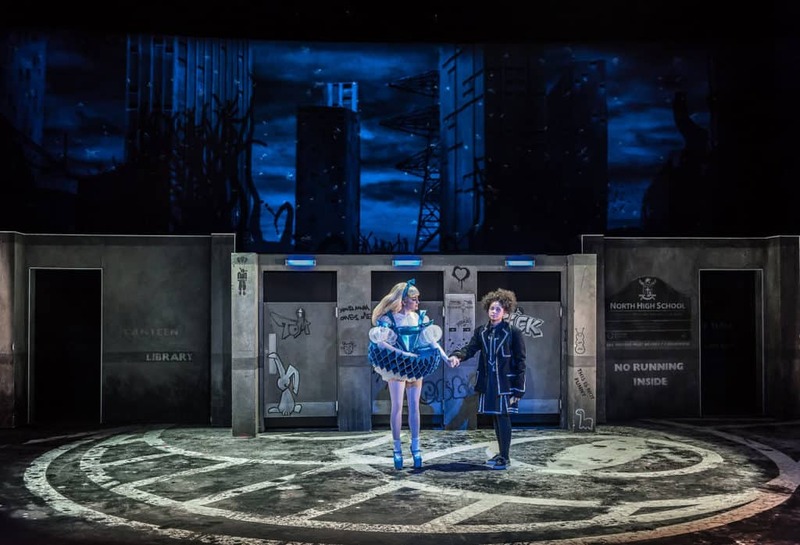 A new musical directed by Rufus Norris, inspired by Lewis Carroll’s iconic Alice in Wonderland, and with music by Damon Albarn and book and lyrics by Moira Buffini (Tamara Drewe, Handbagged). 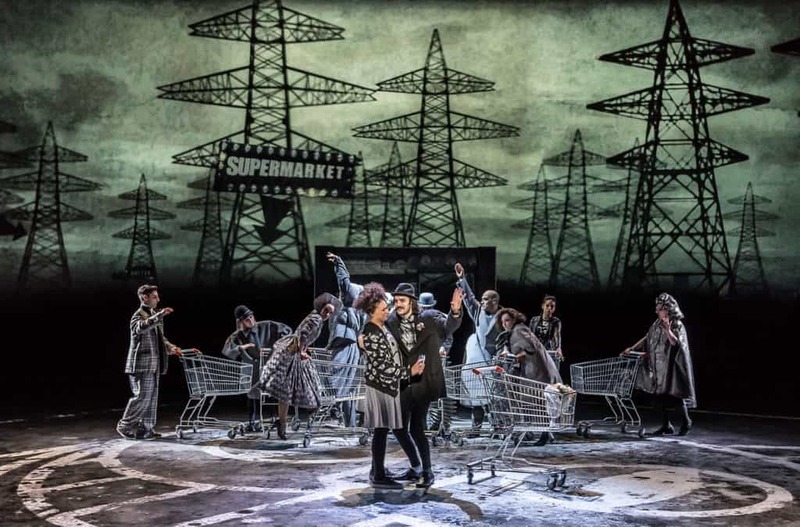 Wonder.land premiered at the Manchester International Festival before transferring to the National Theatre in 2015. Set around the online community of wonder.land, Aly, 12, loves this extraordinary virtual world. Bullied at school and unhappy at home, wonder.land lets her escape from her parents, from teachers, from herself. Online, Aly becomes Alice: brave, beautiful and in control. But some of the people she meets – the weird Dum and Dee, the creepy Cheshire Cat, the terrifying Red Queen – seem strangely familiar. As hard as Aly tries to keep them apart, real life and wonder.land begin to collide in ever more curious and dangerous ways. Creating the virtual world of wonder.land entirely through projection, digital animation and filmed sequences, 59 relied on motion capture techniques to transform the actors into their videogame avatars. 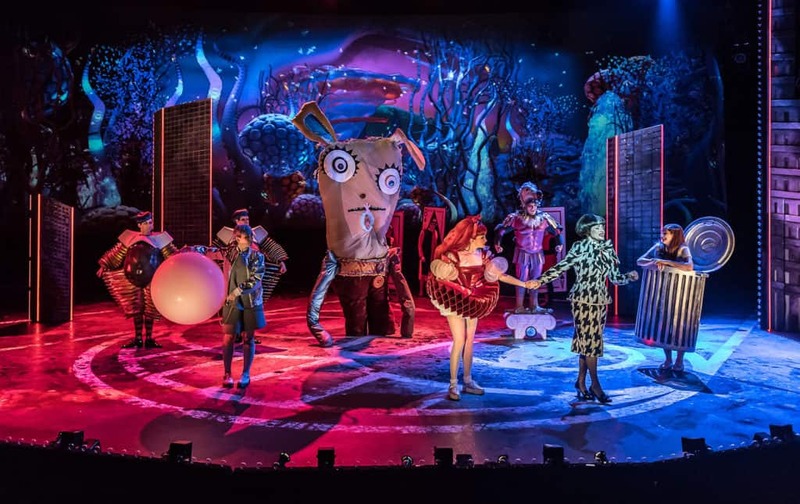 Taking audiences on a journey through the everyday drudgery of daily life and the multicoloured fantasy world of the internet, these projections were integral to the shows’ surreal narrative.